On account of its carminative properties, Fennel is chiefly used medicinally with purgatives to allay their side effects and for this purpose forms one of the ingredients of the well-known compound Liquorice Powder. Fennel water has properties similar to those of anise and dill water: mixed with sodium bicarbonate and syrup, these waters constitute the domestic ‘Gripe Water’, used to ease flatulence in infants; it also can be made into a syrup to treat babies with colic or painful teething. Long term ingestion of fennel preparations by babies is a known cause of thelarche. For adults, fennel seeds or tea can relax the intestines and reduce bloating caused by digestive disorders. Essential oil of fennel has these properties in concentration. In the Indian subcontinent, Fennel seeds are also eaten raw, sometimes with some sweetener, as it is said to improve eyesight. Fennel tea can be used as an eye tonic, applied directly like eyedrops or as a compress, to reduce soreness and inflammation of the eye. Extracts of fennel seed have been shown in animal studies to have a potential use in the treatment of glaucoma. Some people use fennel as a diuretic, and it may be an effective diuretic and a potential drug for treatment of hypertension. Syrup prepared from fennel juice was formerly given for chronic coughs. Fennel is also largely used for cattle condiments. It is one of the plants which is said to be disliked by fleas, and powdered fennel has the effect of driving away fleas from kennels and stables. Plain water drunk after chewing and consuming fennel seeds tastes extremely sweet. Good post. 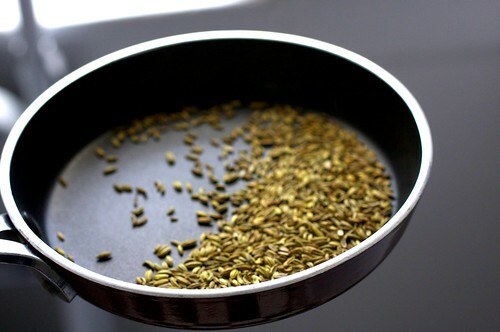 Fennel seeds are very common, it is commonly found in kitchen. It adds flavours to dishes. It has many health benefits like, it act as mouth freshener, women who face irregularities in their periods felt effective cure by fennel seeds, it provides relief to strained eyes, gives soft and conditioned locks, healthy skin etc.